It is difficult to gauge the worldwide impact of Robert Rauschenberg who has literally changed the face and direction of contemporary art. His enthusiasm for popular culture and his rejection of the angst and seriousness of the Abstract Expressionists led him to search for a new way of painting. He found his signature style by embracing materials traditionally outside of the typical artist’s reach. By the end of 1953 he had begun a series on canvases that incorporated newspapers, fabric, and found objects. This series evolved in 1954 into the combines, a term Rauschenberg coined for his works that integrated aspects of painting and sculpture and would often include such objects as a stuffed eagle or goat, street signs, or a quilt and pillow. 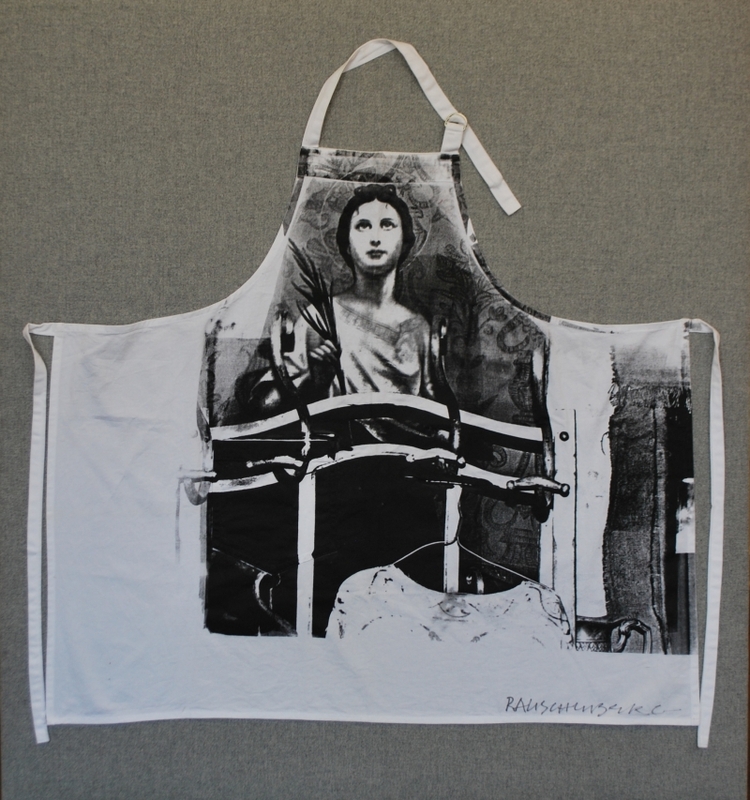 As Pop Art emerged in the ‘60s, Rauschenberg turned away from three- dimensional combines and began to work in two dimensions, using magazine photographs of current events to create silk-screen prints. 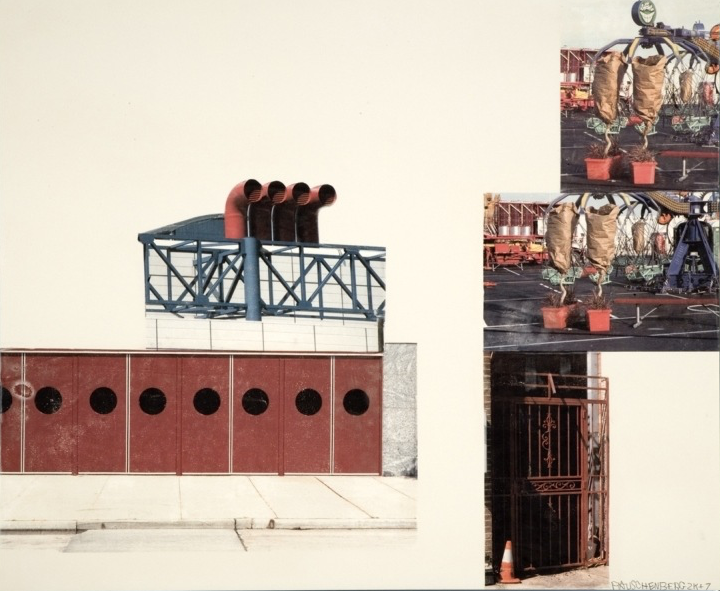 Rauschenberg transferred prints of familiar images, such as JFK or baseball games, to canvases and overlapped them with painted brushstrokes. They looked like abstractions from a distance, but up close the images related to each other, as if in conversation. These collages were a way of bringing together the inventiveness of his combines with his love for painting. Using this new method he found he could make a commentary on contemporary society using the very images that helped to create that society. From the mid sixties through the seventies he continued the experimentation in prints by printing onto aluminum, clothes and other surfaces. 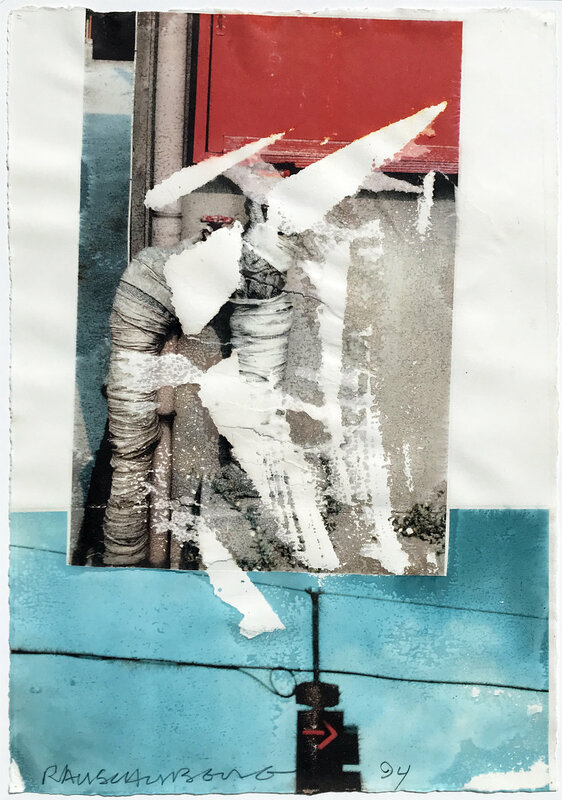 Throughout the ‘80s and ‘90s Rauschenberg continued his experimentation, concentrating primarily on collage and new ways to transfer photographs.